We provide an array of different Plumbing Services in the Brighton, Hove and Greater Sussex area. Our specialist team are all highly trained and able to complete any plumbing job to the highest standard. Below you can find out more information about the different services we offer. Water leaks are one of the most common plumbing malfunctions. Some properties suffer from leaking pipes for weeks or even months without realising there is a problem, until an emergency arises. 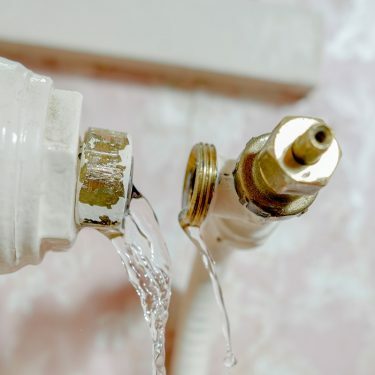 The consequences of a leaking pipe can range from increased utility bills to health issues, as leaks can contribute to the appearance of damp and mould. Although water leaks can be notoriously difficult to locate, our team of expert plumbing contractors makes use of the latest technologies, which coupled with their ample experience allow them to identify and repair any leaks and cracks, no matter how minor they seem. 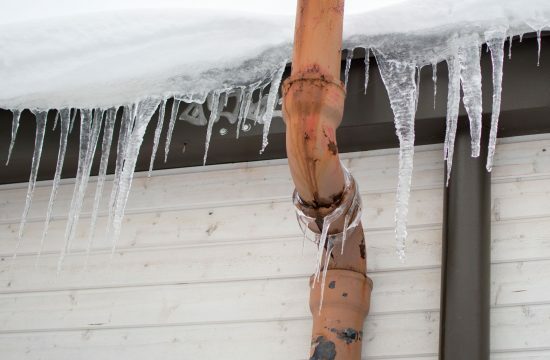 Frozen pipes are a common household problem during cold spells. This issue can affect all types of pipe work, from traditional copper pipes to insulated lagged pipes. While some homeowners attempt to deal with frozen pipes themselves, this kind of plumbing service requires the skills of a trained plumbing professional, as otherwise a frozen pipe could end up bursting or developing leaks. Plumbing on Tap works with plumbing contractors with proven expertise in dealing with frozen pipes. Our methods are safe and effective, and we are always happy to provide professional advice on how to minimise the risks associated with frozen or burst pipes. Plumbing on Tap offers professional maintenance and repair drain cleaning services, carried out by fully qualified plumbing contractors. Our dedicated drainage team has decades of combined experience carrying out all types of cleaning and unblocking services in plumbing installations. As a result, we can solve most blocked drain problems within 30 minutes. We exclusively use state-of-the-art equipment that guarantees the quality of our plumbing jobs. In the case of drain cleaning and unblocking, we use CCTV blockage detection systems and high quality jetting units. This allows us to easily identify any blockage issues, from slow draining sinks, showers, or kitchens to blocked toilets. We also carry out preventative maintenance services. The avearge water tank has a life span of 10-15 years. In soft water areas, corrosion can wreak havoc in tanks, causing leaks and breakdowns. In other cases, tanks develop rust or pinhole leaks due to adverse weather conditions and make a replacement service necessary. Plumbing on Tap can assist you by providing tank lagging and insulation, tank leak repairs, tank installation and replacement, replacement and cleaning of ball valves, maintenance cleaning of water tanks, water chlorination, repair of tank overflows, and removal of limescale deposits. We also operate a unit of plumbing contractors that specialises in repairing leaks, splitting, and overheating in tanks that work with electric immersion heaters. As the recommended installer for Worcester Boilers, Plumbing on Tap is proud to offer an unbeatable 7-year guarantee on any new Worcester Boiler you purchase. We will also offer a whopping 10-year guarantee with boiler installations if you include a system solution package in your purchase. We provide the best in boiler options at competitive rates, and you will be hard-pressed to beat our prices. If you find a cheaper option anywhere else, we offer a price match guarantee and, in some cases, will beat the price by a certain percentage of the difference. Our plumbing and heating services are covered by Public Liability Insurance. This ensures that claims from our customers for damages or injury caused by our business are properly addressed. At plumbing on Tap, we have the best engineers and specialists to carry out projects, and our public liability insurance policy simply makes sure that these workers are protected from damage claims, while ensuring that clients are duly compensated for any negative experiences. At Plumbing on Tap, we value customer satisfaction and strive to provide the best in plumbing and heating services for our clients. As such, we take customer complaints very seriously and we consider them to be areas of improvement to enable us to be better at our job. You can file a complaint by calling us or visiting our office, and we will address the problem immediately. You can also follow the Complaints Policy guide on our website or send us an email. Once we receive your complaint, you will be contacted to acknowledge the receipt and we will arrange a meeting with you to try and resolve your issue. If a final decision is made and you don’t agree with it, you may appeal and request a review, which will be done by a third party. We resolve all complaints within a few weeks of receiving them. Can I Obtain a Reference from Your Previous Customers? If you want to obtain a reference from a previous customer, contact us and we will try to address your issues first. We do try not to burden our customers with requests for references, so we have to ensure that your enquiries cannot be addressed by our team before connecting you to someone who has worked with us before. You can also read the many glowing customer reviews on our website to have an idea of how our customers feel about us. 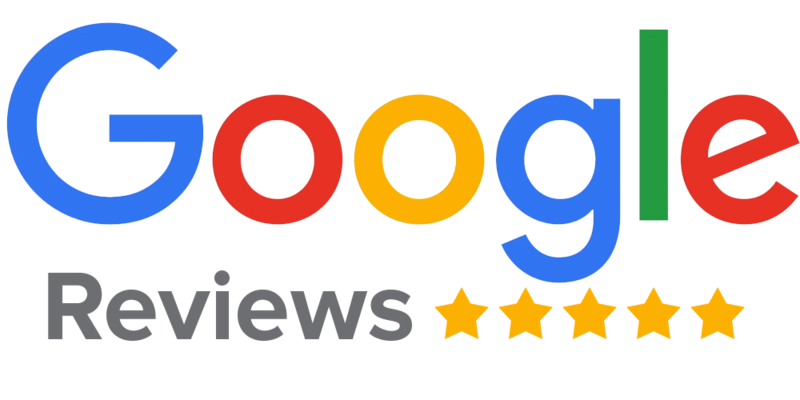 Feel free to browse through over two hundred customer reviews on our Checkatrade page, or read about the superb quality of our products and services in our Which? Magazine review. Homeowners are often discouraged by contractors from purchasing or supplying their own materials. This is to prevent the use of substandard products in the projects. Most plumbing and heating services will include in their contracts that the customer is responsible for any damage caused by the materials they have supplied. To avoid such scenarios, it is better to allow the experts to supply the materials. However, clients can discuss with the contractors if they have any preferences in terms of where the materials are obtained from. This way, the client can receive expert advice on their choice of suppliers and the quality of their products. We source our supplies from credible names in the business, and while we aim for a flawless delivery each time, we do take full responsibility for any damage caused in the course of the project. What If I Need To Rearrange My Appointment? We are a flexible company and understand that you may have to rearrange your appointment due to circumstances beyond your control. Changing your appointment is quick and hassle-free. Simply call or email us to reschedule your appointment to a date that is convenient for you and our specialists. Do You Offer a Finance Option for Your Services? 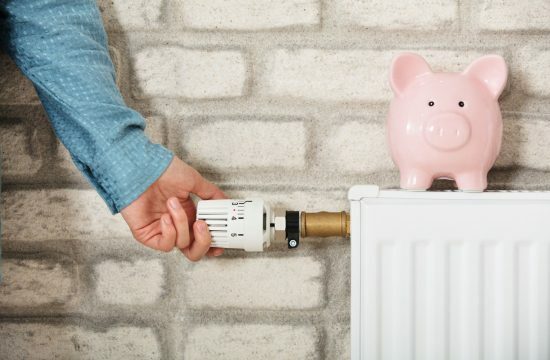 Plumbing and heating projects can be quite expensive, which is why we offer a number of finance options to help you cover your expenses. With a minimum deposit of 25%, you can benefit from zero interest credit for 12 months. We are very transparent about our prices, and we will always discuss the costs before the project is carried out. 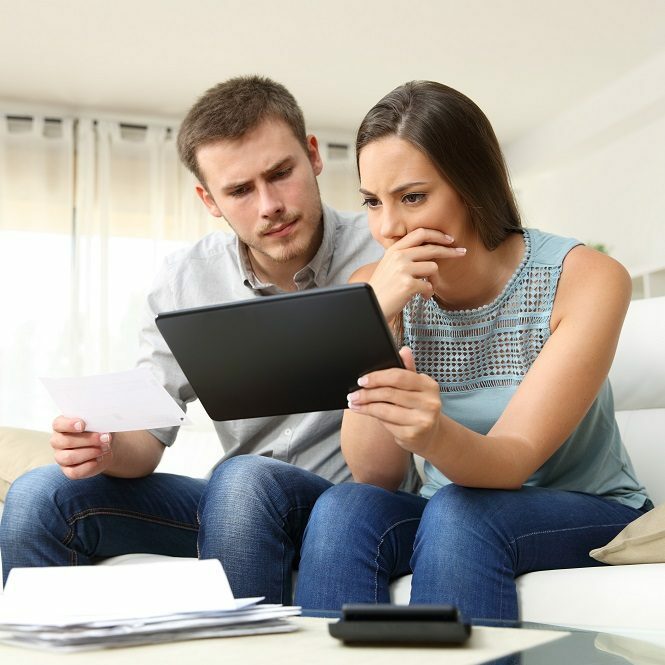 We will also explain the finance options available to help you pay. What Payment Methods Do You Accept and Do You Charge VAT? We accept all major credit and debit cards, including Visa, MasterCard, UCB and Maestro. We also accept cheques. We include VAT charges on all major purchases and services such as boiler installations and bathroom renovations. Our VAT registration number is 920466732. Our prices are fair and we have no hidden charges. Contact us if you wish to make enquiries about paying for your project. You can also call us to discuss a payment option not included here. Can I Send Photographs to Help with the Quotation Process? We encourage our customers to give us as much information as possible, including photographs, for a more accurate online quote. However, our experts are always available to carry out home surveys, where they will take specific measurements and notes to enable us to tailor our services to your needs. From broken toilets to ruptured pipes, we understand that emergencies happen, and our team is always available to provide emergency services seven days a week at no extra cost. We charge you for the work done by our specialists, and we do not include call out fees in your total bill. Do not hesitate to call us whenever you have an emergency and we will be on site as soon as possible. What Areas Are Your Services Available In? Our plumbing and heating services are recommended in Brighton and Hove, but we are also the number one plumbing and heating company in the entire South East. We operate across the region from Worthing all the way to Eastbourne and as up north as Burgess Hill. Wherever you are in the South East, Plumbing on Tap is only a phone call away. As a property owner in Brighton and Hove, chose Plumbing on Tap and our specialists will see that your plumbing and heating needs are well taken care of. What Time Is Your Contact Centre Open? Our contact centre is always open. You can call us at any time of the day for enquires or a free quote, and our friendly receptionists are always happy to help. You can call us, send an email, or visit our office. You can also fill out an online form and our engineers will get back to you as soon as possible. We are also available 24 hours a day, 7 days a week to provide emergency heating and plumbing services across Brighton and Hove. At Plumbing on Tap, we employ only the best workers who get the job done. Our engineers are registered in the Gas Safe Register, the official gas registration body for the United Kingdom and surrounding areas, as mandated by the Health and Safety laws of the country. We are also members of Checkatrade, where home owners can check the background information and reputation of plumbers across the country. We are also proud to be associated with Which? Magazine, trusted by consumers to provide credible reviews of products and services in the country. We are a Which? Trusted Trader, and our products and services have been tested, monitored and vetted by both Which? and Checkatrade. When it comes to boiler services, we are the recommended installers for Worcester Boilers, who recognise our superior workmanship and have verified Plumbing on Tap as a brand of excellence in Brighton. How Long will it take To Repair a Leaking Tank? 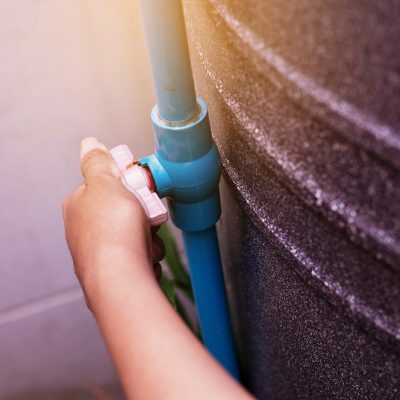 Over time, tanks split or rust, while wear and tear can also lead to a dramatic leak and potentially flood your property, causing major damage. It’s therefore important to get a fast response, stop the leak and diagnose the exact problem. Our plumbers carry stock to help with speedy repairs. Full quotes for new tanks will be given if a replacement is needed. Our qualified plumbers are committed to installing and repairing tanks and overflows to the highest of standards, with the least amount of disruption to you and your family. What Are The Requirements If I Want To Install a Water Tank in My Loft? A tank of 250 litres is considered adequate for most homes, so don’t buy a tank bigger than this, as it’s important for the water to be replenished with fresh water. Your water tank must be made from approved materials like Glass Reinforced Plastic (GRP) or Polyethylene, as these are approved for water storage. Older tanks are made of galvanised iron, which rusts over time, discolours water and leaves a bad taste. Be sure to look for the WRAS approved product logo, as this will ensure the tank is safe for storing drinking water. The tank you purchase must be for potable drinking water, as the design of the tank is different from those used to store non-potable water. When Should You Replace a Ball Valve? Our team of expert plumbers can replace ball valves, restore the lining of your tank, and repair any connecting pipe work to ensure water in your property is flowing properly. My Tank is too noisy. How do I Know if it Needs Repairing? A noisy tank is an annoying and common occurrence – especially if the tank is in your living space. However, not every sound a tank makes is problematic, but it might sometimes be a signal that points to a bigger issue. For instance, an accumulation of mineral deposits and sediment will cause your tank to make a noise; a clogged drain valve is also a sign your tank needs to be looked at; a leaky tank and cold or lukewarm water from the tank are also indications your tank needs to be repaired. Rusty water and rusty valves are also pointers that suggest a repair is needed. Our effective water tank and pipe work cleaning service helps reduce limestone build-up and other potentially harmful bacteria in your water system. Cleaning your tank and overflow also helps improve the effectiveness of your water system. Plumbing Ontap is proud to offer General Plumbing services in the town of Brighton, which lies within South East England in the county of East Sussex. Hollingdean, Hove, Mile Oak, Moulsecoomb and Hollingbury are also part of Plumbing Ontap’s General Plumbing service area in the City of Brighton and Hove. Last in order of mention, Plumbing Ontap’s General Plumbing services cover the Brighton Municipality along with Stanmer, Bear Road area and Brighton Marina.